Enhance your apps with our consistently detailed map of Great Britain - from overview right down to property and building outlines. It even includes post boxes and electricity sub stations, sourced from our own MasterMap of Great Britain. It's free to evaluate OS Maps API prior to internal business use or development of products and services for commercialisation. New to OS? - Contact us to learn more. Our Partners and Public Sector Mapping Agreement members with a GB licence for OS Data should select these OS API plans. Service plans are for 12 months. If you're not an OS Partner or Public Sector customer please contact us before starting your development with OS Maps API. Britain’s most detailed, maintained and accurate maps, in the most popular projections and 5 styles. Public Sector Mapping Agreement members and OS Partners can use OS Maps API to evaluate it for internal business use, or to develop products and services prior to commercialisation. Public Sector Mapping Agreement members with a GB licence for OS Data should select these API plans. Service plans are for 12 months, paid in advance. Contact us to activate our partner service plan. Public Sector Mapping Agreement members with a GB licence for OS Data should select these API plans. Service plans are for 12 months, paid in advance. A 12-month plan, paid quarterly in arrears with royalties and service charges combined - based on usage type. Learn more. To use this data commercially in your own products and services, you will need to sign up to our Framework Contract (Partners) and a relevant defined use contract. This will vary depending on what you’re going to do with the data. Britain’s most detailed, maintained and accurate maps, in the most popular projections and five beautiful styles. Automatically updated every six weeks, leaving you free to focus on your organisation’s activities rather than spend time maintaining your organisation’s map data. It's a RESTful web service, which is easy to integrate, and because you're not locked in to Ordnance Survey - you're free to use our APIs with other providers' services (subject to third party terms and conditions). There are 5 styles for your application, mobile or website, using beautiful cartography designed for business and public sector customers. Choose from Leisure, Light, Night, Outdoor, and Road. Each is designed for different use, from being ideal in the outdoors to being optimised for tablets or phones used at night. 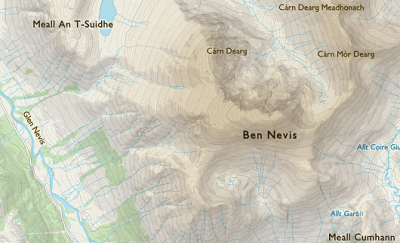 Whatever you do, there are no restrictions on how you integrate OS Maps API. You can build it in as a feature within your own existing GIS or use the API to build new, business-facing web and mobile applications. The API supports EPSG:27700 (British National Grid) and EPSG:3857 (Web Mercator). Users can request tiles in OGC KVP WMTS or RESTful ZXY, and in png format. Backed up by 99.9% uptime and technical support during business hours included in paid plans. RESTful HTTP Request. Response in 256 x 256 PNG tile. OGC WMTS, ZXY protocols. data source. More information can be found here. You may be a large business, looking for APIs to integrate with your own GIS. Perhaps you’re an independent developer who wants to create a new web or mobile app. Either way, you’re welcome to trial OS Maps API for Enterprise free of charge. Register to start a free trial. 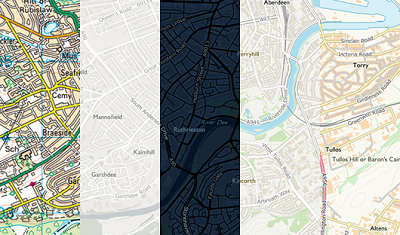 OS Maps API for Enterprise gives you a variety of map styles for business and public sector use – and there’s a free trial to get you started straight away. In the outdoor stack, buildings in OS MasterMap Topography are in 2.5D. This means you’ll get a 3D appearance for 2D objects. We’ve incorporated different projections too. The API supports EPSG:27700 (British National Grid) and EPSG:3857 (Web Mercator). Users can request tiles in OGC KVP WMTS or RESTful ZXY, and in png format. OS Maps API for Enterprise accesses four data sources, all of which we keep updated simultaneously. This way, we’re confident we can ensure consistency and fidelity in our products. 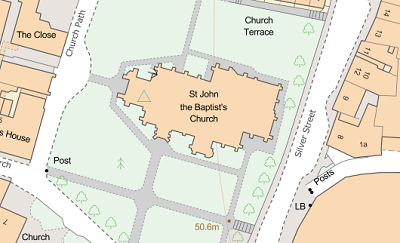 • OS MasterMap – Topography Layer, the most detailed, comprehensive map dataset of Great Britain. Our Topography Layer provides landscape features such as buildings, fields, fences, land, water and roads, as well as administrative boundaries – over 425 million features in all. In the first release of our OS Maps for Enterprise API, offline mapping (cached maps) won’t be available. The API accesses raster versions of our maps, so users can’t interact with map objects (i.e., tag features) or create their own styling. The OS Maps for Enterprise API’s stunning detail will enable elegant visuals that are ideal for enterprise, as well as consumer use. These include banking and insurance, land and property, utilities, health, education, and navigation products.